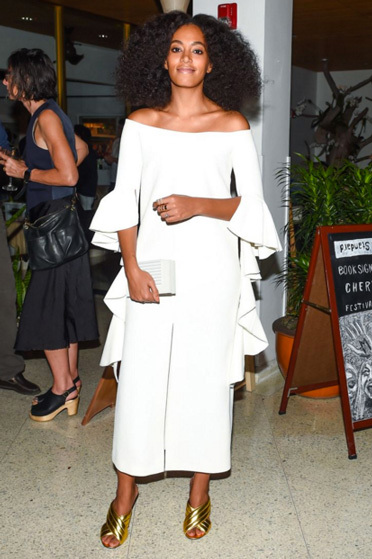 The dress code for Art Basel in Miami leans toward the creative, of course, and Solange Knowles, above, illustrated this art form perfectly this week in a dramatic ruffled-sleeved Ellery. I also love this less expensive version here. Oh, and the Gucci shoes aren't bad either!